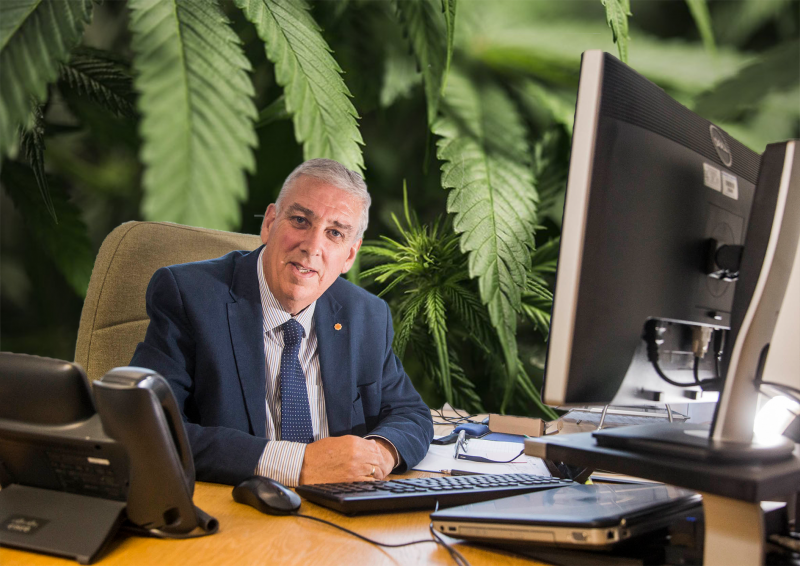 Arfon Jones, Police and Crime Commissioner (PCC) for North Wales, has called for the British Government to regulate cannabis to help prevent the rise in criminal gangs, even calling for people to be allowed to grow the drug at home for personal use. Mr Jones, who is well known within the cannabis community as a pragmatic leader who bases policy off scientific evidence, believes that a new licensing system, similar to one seen in Canada and Uruguay, should be introduced so cannabis can be sold over the counter. The PCC for North Wales has long opposed prohibition, favouring reforms to UK drug laws, as he believes they have the opposite effect to their intention. Britain needs more leaders like Arfon Jones. His vision for basing policy off scientific evidence is a growing one, shared by other leading PCCs in the UK. Ron Hogg, PCC for Durham, was one of the first Commissioners to call for a more relaxed approach to policing cannabis, telling his officers in 2015 to only pursue arresting large commercial grows run by criminal gangs, rather than targeting vulnerable medicinal users. Pursuing a policy which criminalises cannabis users is clearly not working. If the intention of the policy was to reduce the number of users, it has failed: cannabis is the most popular drug in the UK, with 7.2% of adults aged 16 to 59 having used it in the last year (around 2.4 million people). This is the highest rise in use in 9 years. Cannabis was reclassified as a class B drug in 2008 (11 years ago). For those truly opposed to a rise in the use of cannabis, a more sensible, compassionate approach, like the one Arfon is advocating, is clearly needed. Banning a substance clearly does not reduce use: it increases it.